This podcast is excellent. Taboo and Church are super fun and the insight they give on Dark Souls II really blew my mind several times. I have endless good things to say about this podcast, but the reason I don't give five stars is because of how they left. Granted, I don't know what was going on in their lives that could have explained why the two left, but their last episode covered Aldia's Keep. They never move on to cover Dragon Aerie, Dragon Shrine, Throne of Want, or any of the DLC. It's really disappointing because I always want more Taboo and Church, to the point that I've listened to this podcast a few times over because of how great they are. Great info on lore, just not Greek or Norse. These guys are great. I'm terrible at Dark Souls, so these guys have finally given me some joy out of the series. Wonderful podcast! I'm a little late to the party, but I love the podcast fellas! It's a shame you guys ended up dropping Dark Souls 2, really hope to see you back for Dark Souls 3! I love this podcast. The hosts have awesome chemistry and the content is great if you're into the Souls games! Please continue this podcast!! Would love to hear you guys do Bloodborne. Cheers from Sweden. Fantastic podcast. Fun and informative. The caster in this show truly love the game and the lore and it shows through their excitement of talking about it. This show is a must listen for anyone who enjoys the lore of this game and also some great tips! a really well presented podcast with very very helpful info. only reason i gave it 4 stars is because it is for mature audiences only. it doesn't make sense why such a helpful podcast for a "teen" rated game is so vulgar. good thing i'm not terribly sensative about it. Very entertaining hosts. They walk through the areas sharing theories on the lore and telling where important items are. Please come back and make Podcasts for Scholar of the First Sin! This is an excellent zone by zone analysis of the gameplay and lore of Dark Souls 2. The production and sound quality are excellent and the hosts are very likeable and have interesting theories on the game's often murky story. They are also funny and (unlike some other DS podcasts I could name) don't feel the need to awkwardly drag ham-fisted politics or other distractions into their game talk. Highly recommended and I look forward to to what they do for Bloodborne. While I'm at it guys, how about a spin off for the first game's lore? Really enjoyable to listen to, great voices and really makes you love the game that much more. These guys are hilarious. I've listened through all the episodes a few times now and they always manage to make me laugh. Keep Chuggin dat estus! Perfect balance of lore and comedy! Awesome podcast! If you enjoy dark souls 2 and all the lore that comes with it then you've come to the right place! The way TDST describe each of the "chasmus" areas makes you feel like you're actually there, and they touch on some great lore theories for each area and also a lot of the items you can get. Very informative and humorous cast! Gave me a new appreciation for the game. Thanks guys!! The one word that can describe this podcast. Funny, informative, and most importantly about Dark Souls. Keep up the great work! You guys are great! I love learning about the lore of the game. Keep up the awesome work! Great podcast about a great game. Lots of useful information here. And some pretty humorous bits as well. If you like the game, you'll like this podcast. Thought provoking, inspiring, uplifting. This podcast does what other podcasts don't. This Podcast not only is chock full of information about playing the game, they go to great lengths to gather theories and generate discussion on the Lore behind the games. Originally, i started off not a fan Dark Souls II, but i was intrigued by this game so much but was put off by what i thought was a lack of story. This Podcast blew the hinges off my mind door when they began the discussions. I canât thank you guys enough for the podcast! And the streamâs on Twitch are a great addition! * Had to change the title because the original was âinappropriateâ Informative âEasy to listen to âStomach cramp inducing hilarious âThis is an excellent podcast. I was new to the Dark Souls world when they followed me on twitter, and now I listen to their episodes all the time, especially at work. Even though I am caught up on their shows, i still go back and listen to see if they found something I missed while playing. Fantastic show, and it even convinced me to buy Dark Souls 1 (which I have played more of now than Dark Souls 2). Keep it up guys!May you all become as grossly incandescent as the sun! Great information on lore behind items/ story and really funny too! Likable hosts, often hilarious banter between them, and a heaping load of Dark Souls information, tips, and lore speculation. Makes a morning of drudgery at work pass much more quickly and enjoyably. Even being a Yank, I enjoy the show. I love the lore speculation! I never could've put together that prince Alken was the old Iron King, who in turn is Ichorous Earth. Keep it up guys! This is a great show! For any lover of the Dark Souls world. I appreciate the in depth discussions and hilarity that ensues! Lets me enjoys Souls when I am not able to play.. You guys are doing an awesome job, keep it up! Your fans appreciate! Sunny D styleNever thought a dark souls podcast was possible. These guys proved me wrong! These guys are great, it's the best (only?) Dark Souls related podcast out there! These dudes make my miserable drive to work once a week way better. 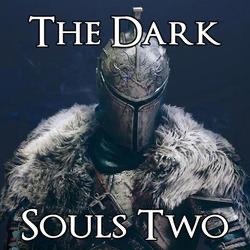 The Dark Souls Two podcast is really first-rate -- I have tuned to a lot of videos and audiocasts about the Souls games and there have been quite a number that have fallen by the wayside. Not these guys. I look forward to their work every single week and have been so entertained while learning so much about this Souls game. They really have a wonderful time and never feels like a chore -- they do the podcast for their sheer love of the game and for letting others know more about it. Very good and highly recommended! Great podcast and the hosts are absolutely hysterical. They are essentially two friends just sitting down bs'ing about dark souls in a hilarious manner, yet at the same time, still remain incredibly informative, detailed and professional. Hail Zeus, God of Thor!!! Even though I've beat the game, I still enjoy listening to these two do a rundown of each area to hear anything I missed or any lore I didn't pick up on. Always interesting, always worth a listen. Keep up the good work, guys. I absolutely love the podcast, it's at the top of my playlist. It is very well done, and you can tell a lot of work goes into it. My only complaint is the guys aren't very punctual with the content. That wouldn't be a problem however, if it weren't for me wanting to hear the next episode so much! It's a must have for any DS2 fan! Definatley expanded my love for this game with all the effort and alanysis of the lore! Entertaining, funny and thourough. Great job guys. Interesting takes on DS2 lore. Would love to see a twitch session. Knowledgable, witty, and full of insight. Highly recommended for fans of the Souls series. I listen to this podcast whilst waiting for the bus, between classes, and going to sleep. It is entertaining and informative, but I wish the would do it more often than once a week. What a great show! This podcast does a wonderful job of supplementing my Dark Souls experience through delving into the lore. The format is wonderful and the hosts are superb. I recommend this show to anyone who is a fan of the Souls series! I listen to multiple podcasts and this is the best one if you want to hear details about each area. It's a very smooth and easy podcast to listen to and sometimes funny. Sometimes educational, like Zeus being the father of Thorâ¦ eh.I always look forward to the new episodes no matter where I am in the game itself. Just an excellent podcast. Great chemistry, great information, and a really solid poduction level. I like my podcasts on-point, informative, and entertaining, and this one has it all. Keep up the great work! It's the best Dark Souls podcast available. The podcast methodically covers most levels as an audio walkthrough, and provides insight into the lore and personal gameplay experiences. Feels like playing the game alongside them. Great duo and great knowledge on the series and it's intricacies. Makes the game even better! Love listening while playing dark souls 2. I never thought about half the stuff the mention such as item drops hinting at lore. Very in depth and also funny. Thanks guys. All hail Thor, son of Zeus? I love listening to the two wax intellectual about the lore and back stories of the game. I also love the humor as well, hearing them bicker on how words are pronounced is always fun. I have learned a lot about the back story, and hidden Jena in the game. Hearing the stories makes me want to play the first dark souls game. Keep up the good work! Great to listen to after you clear through that episodes section(s). Not only in case you miss something, but these guys explain the lore and talk about possibilities and how things connect inside the souls universe. Great personalities, im really enjoying it! I am really liking how you guys set up the show and keep a steady pace. And I would like a signed autograph! Insightful and funny podcast about our favorite game. Its great to be able to hear other people's opinions about the game. The hosts are great, the audio is great, the content is great. If you like Dark Souls, give this one a listen. I listen while I walk. Good information, and they make me smile.